Constituted to promote the economic and business interest of its more than 100 chamber organisation members and thousands of SMEs in the wider economy. More than 95% of registered businesses in the world are small in size, employing fewer than 250 people and account for 60%-70% of the entire working population. Not in South Africa, where SMMEs – far fewer than previously believed – provide jobs for only 28%. To create employment for over nine million people without work, policy makers and regulators must support an environment that is conducive to the growth and competitiveness of South Africa’s small and medium enterprises. The SBI commits to the President’s nation-building programme of Thuma Mina and will seek to influence the creation of an enabling environment for the SME segment of the economy, which traverses all sectors. SBI stands for a free-market approach to grow SMEs, create jobs, and provide ethical leadership. We envision a country where small- and medium-sized businesses are supported by thoughtful, evidence-based policy that limits obstacles to their success and sustainability and the private sector works to eliminate structural obstacles to competition, access to markets and effective entry into supply chains. We advocate for policy makers and big businesses to ‘think small first’. We lobby for government to consider and support SME sustainability in legislation, regulation and procurement policies. Our campaigns include big businesses where SME-supportive supply chain management and payment terms contribute to a thriving sector. In 2018 the SBI made good headway in achieving the ambitions the organisation set for itself last year. A revised Memorandum of Incorporation entrenched better governance procedures and a qualified board was appointed reflecting the intended diversity and gender balance. The institution enhanced its credibility on the back of research conducted by its partner the SBP, which delivered on Phase One of South Africa’s first comprehensive baseline study of SMEs. SBI raised its voice in several key Business Unity South Africa strategy sessions with director Joe Mwase joining BUSA’s board. The President worked with COGTA in respect of an MOU and governance structure and conducted on-going outreach to chambers seeing new affiliates joining. SBI signed MOUs with both GROW SA and FASA and continued its programme of #SMEIndabas to remain top-of-mind with key stakeholders and grow the institute’s database. This year SBI also initiated an intern and junior researcher development programme with many of the directors working to enhance the skills and knowledge of young South Africans. This year’s five Indabas focused inter alia on the business landscape – current and future, our ‘state of capture’ and the challenges for chambers and SMEs of small town economies, many with dysfunctional local government. Influential role-players delivered keynote addresses to SBI’s members, including Adv. Thuli Madonsela, Judge Dennis Davis, ANC Treasurer-General Paul Mashatile, Minister Lindiwe Zulu, Themba Maseko, Adv Michelle Le Roux, City Press Editor Mondli Makhanya, Lawson Naidoo, Executive Secretary for CASAC, DG for COGTA Dan Mashitisho, the Rev Professor Peter Storey, BLSA President Jabu Mabuza, Executive Director of the CDE Ann Bernstein, and Bongi Mlangeni, CEO of the Social Justice Initiative. Panels exploring selected topics included editors, political analysts, activists, policy makers, economists and academics. Inspiring entrepreneurs reminded us that no challenge is too great and opportunities exist wherever you look. As the Big Voice for Small Business, SBI throughout the year was rewarded with prominence for our editorial offerings to newspapers, dozens of radio interviews and continually increasing social media penetration. A press conference to announce the early findings of the SME Baseline Study, companion press release and opinion pieces generated over R12 million in media coverage. In 2019, the SBI turns to sustainability. With growing influence and a concomitantly expanding list of activities, the institute will continue to strengthen the board and will be appointing a small executive team. Key objectives for the year, in line with the country’s New Dawn, will be to expand the organisation’s membership by encouraging the formation of chambers in cities, small towns and particularly townships. Where chambers do not exist, SBI will accept direct membership of SMEs and entrepreneurs. Chambers raise the esteem and profile of local entrepreneurs, stimulate business-to-business commerce, and can assist SMEs to transition to formal businesses. As affiliates of the SBI they can be part of our surveys and focus groups as we develop positions to influence government. As the only SME advocacy body in the BUSA stable, the institute will focus on interactions with policy and decision makers, backed up by a growing body of research and evidence-based interventions. 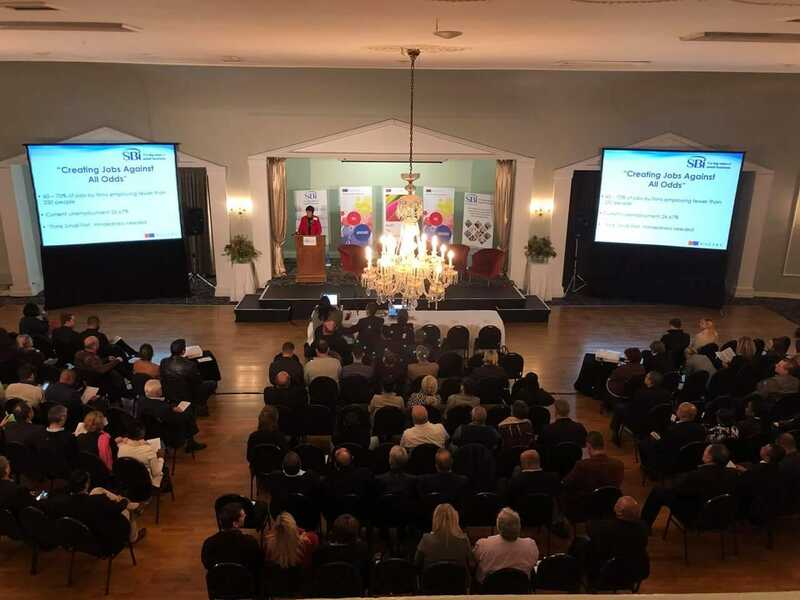 Following a fundraising exercise, Phase Two of the SME Baseline Study will commence and include further data mining, focus groups, a bouquet of surveys, road shows to small towns for community-level consultation and, ultimately, the drafting and dissemination of a new strategic White Paper for government which will advance small business in South Africa. (SBP wrote the first one in 1995). SBI will develop a comprehensive communication programme to better support and reflect the SME ecosystem, disseminating more and varied policy responses and advocacy positions for Parliament, BUSA, our members and the media. We will link editorials to policy alerts; develop material for SME support by corralling a group of experts to provide content for social media and local and community newspapers and radio; conduct surveys about the challenges and activites of members and disseminate our findings and include the voices of our members in the baseline study research. SBI will expand its intern and junior researcher development programme.